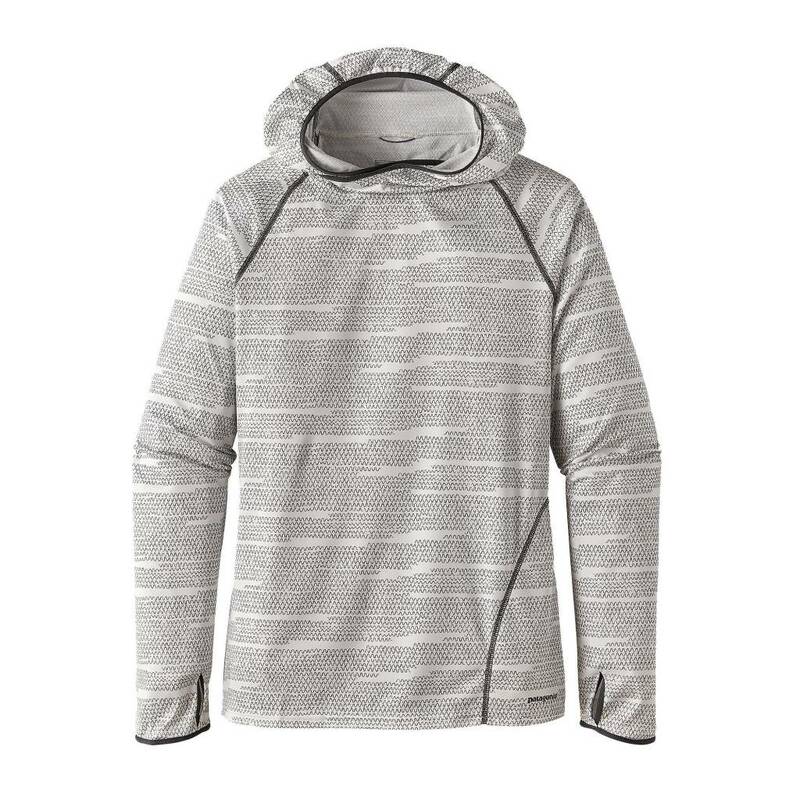 A fast-wicking, quick-drying hoody in a soft 100% polyester. 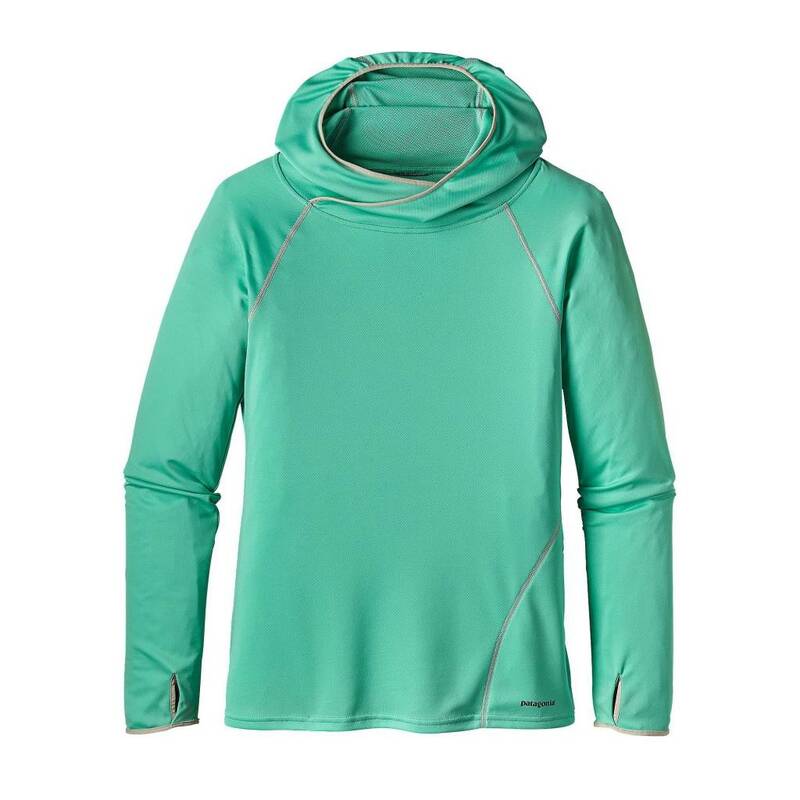 On tropical Pacific atolls, the only thing more ferocious than a feeding GT is the sun. 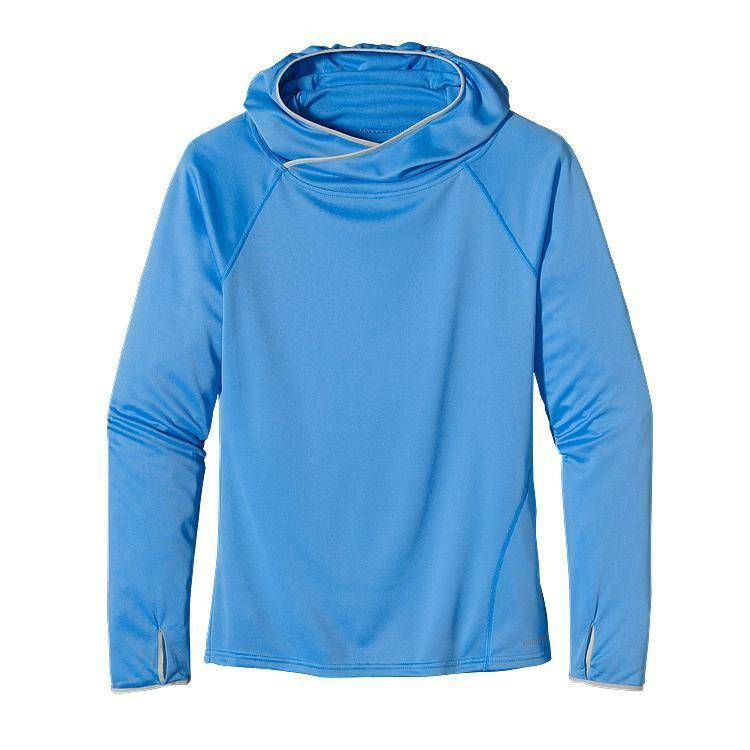 Fortunately, our Sunshade Hoody, with its ultralight 3.54-oz 100% polyester double-knit fabric and 25-UPF sun protection, offers full upper-body coverage and a cool, airy feel. 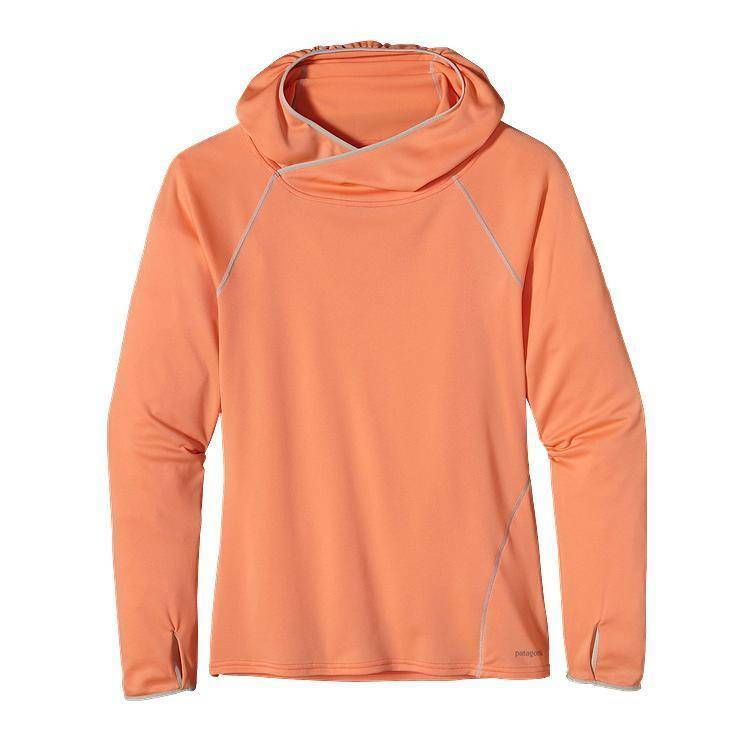 This flattering, relaxed fit hoody fits beautifully and works hard on the water. 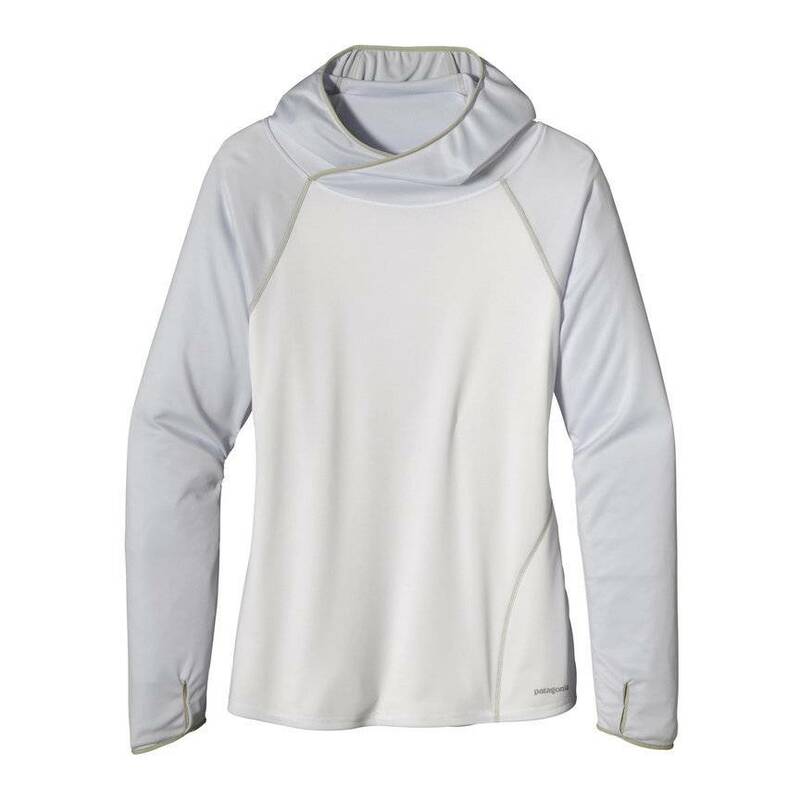 Straight cuffs with thumb holes pull the sleeves down to cover hands, built-in foldover sun mask and hood fit easily over a sun cap, and there’s a hidden zippered pocket on the front left chest; heat-pressed, abrasion-resistant thermoplastic tape reinforces pocket construction; Fitzroy trout logo at the hem.